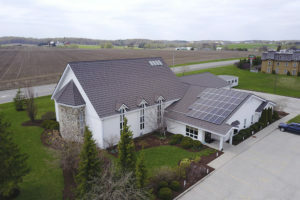 Waterloo North Mennonite Church began meeting for worship in October 1986. We are an energetic congregation consisting of ethnic Mennonites and those from a wide variety of faith traditions. Waterloo North Mennonite Church is a remarkable body of believers. 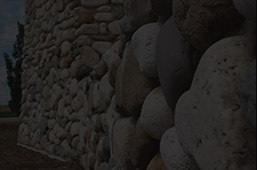 We are unashamedly Mennonite/Anabaptist, yet boldly ecumenical. We have a strong grounding in the essentials of the Christian faith, but we are also adventuresome in our theology. We are reverent in our worship, yet value honesty and spontaneity. We lift up grace as we have been lifted up by grace. We cherish inclusiveness, justice, Christian service and peace. We wish to minister to our local community, and we are committed to helping people worldwide. We seek to be Biblical people responding to the most pressing needs of our day. We are diverse in backgrounds; intimate in relationship and care very much for one another. 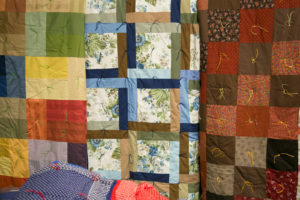 In October 2008 Waterloo North Mennonite Church celebrated its 22nd anniversary. We began as a “church plant” by the Inter-Mennonite Conference (Ontario), with special assistance from the Erb St. Mennonite Church, the St. Jacobs Mennonite Church and the Waterloo-Kitchener United Mennonite Church. At the beginning the group numbered about 40 persons and met at Lutherwood, a residential and school facility located on Benjamin Road in North Waterloo. The congregation deliberately chose a location in the growing northern edge of the city. 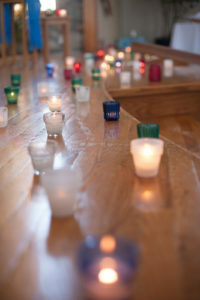 After briefly worshipping in Lutherwood’s chapel beginning in October 1986, the congregation met in the gym until the end of May, 1994. In addition to challenging acoustics, two massive lions painted on the back wall reminded us this was not a church building. Waterloo North has always placed emphasis on lay participation in leadership. For the first year there were no paid leaders — leadership was provided by a group of Elders and an Administrative Committee, together with a church chairperson. Although titles and job descriptions have changed over the years, the numbers of persons actively involved in all parts of the church’s ministry remains high. In the late 1980s it became clear larger facilities would be required for the growing congregation. A building committee chaired by Ralph Lebold was established in 1989. Milo and Laura Shantz donated land at the corner of Weber St. and Benjamin Road. The congregation moved into the new facility in June 1994. Dan Nighswander became a part time member of the Ministry leadership team by 1988 and continued in a leadership role until 1997. Mary Mae Schwartzentruber and the Ministry Team provided leadership in 1997/98. Sue C. Steiner became lead minister in May 1998. 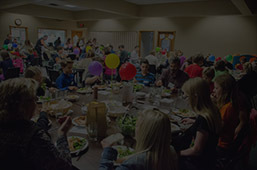 The congregation became part of the Mennonite Conference of Ontario and Quebec in 1987 and became part of the Mennonite Conference of Eastern Canada when the merger of three conferences in Eastern Canada occurred in 1988. The congregation is part of the Mennonite Church, and in 1995 joined the Conference of Mennonites in Canada. 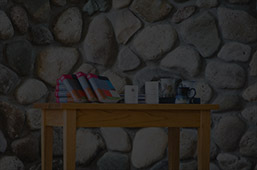 At Waterloo North Mennonite Church we welcome all people to participate fully in our Christian community of faith with all its expectations, responsibilities, and opportunities regardless of personal characteristics such as race, ethnic background, age, gender and gender identity, sexual orientation, income, or education. The 1995 Confession of Faith in a Mennonite Perspective is helpful for understanding much of our theology. and in the Holy Spirit, the companion of every believer. as we care for one another. and by promoting justice and peace in God’s world. and to that newness of life we commit ourselves.